Zwick, T.; Fischer, C.; Wiesbeck, W. (2002). 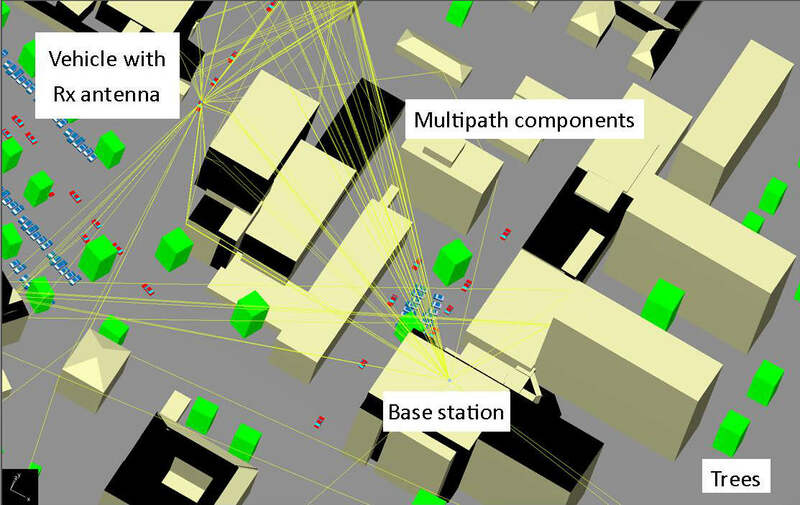 A stochastic multipath channel model including path directions for indoor environments. IEEE journal on selected areas in communications, 20 (6), 1178–1192. Didascalou, D.; Schaefer, T.; Weinmann, F.; Wiesbeck, W. (2000). Ray-density normalization for ray-optical wave propagation modelling in arbitrarily shaped tunnels. IEEE trans. on antennas and propag. 48 (2000) S. 1316-1325. Kuerner, T.; Cichon, D.; Wiesbeck, W. (1993). Concepts and results for 3D digital terrain based wave propagation models - an overview. IEEE j. on sel. areas on commun. 11 (1993) S. 1002-1012.